::: Off the Radar :::: Zoot Woman Returns! 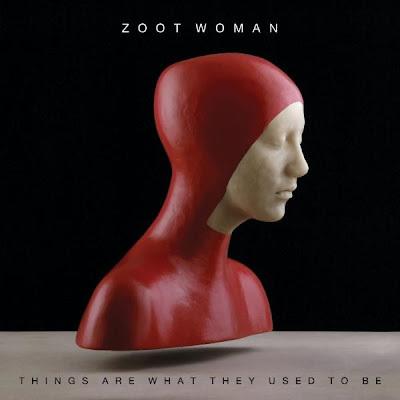 Big fan of Zoot Woman! So glad when I found out they had a new album out called 'Things Are What They Used To Be'. It's their third and first new album since 2003. Man that's a long time! I have to tell you I love both their debut 2001 album 'Living in a Magazine' and their self titled sophmore album. Burned both those discs to death and I still never got bored of them! That's usually a good sign that you did something right. They make such great electro-pop music that I can't resist. Their new album keeps in the same tradition of their previous work. Smart engaging electronic pop music. Right off the bat with opening track 'Just a Friend of Mine' I could tell they are back full force. So funny how quickly I can tell when I'm gonna like something. No more than 30 seconds into the song is all it takes for me. They took their time with this one, I was a little worried there, but they did a great job! The only track that I recognize on the album is 'We Won't Break' which they released as a single a year or two ago and made in onto my Top Singles of 2007. With no further ado here are a couple new tracks from their latest. I highly recommend you pick this up as well as their previous albums. All excellent! * Tracks taken down by request from the artist. Here's their video for 'We Won't Break'. I want to hear "just a friend of mine" at The Vagabond ASAP!!!! Make it happen man!